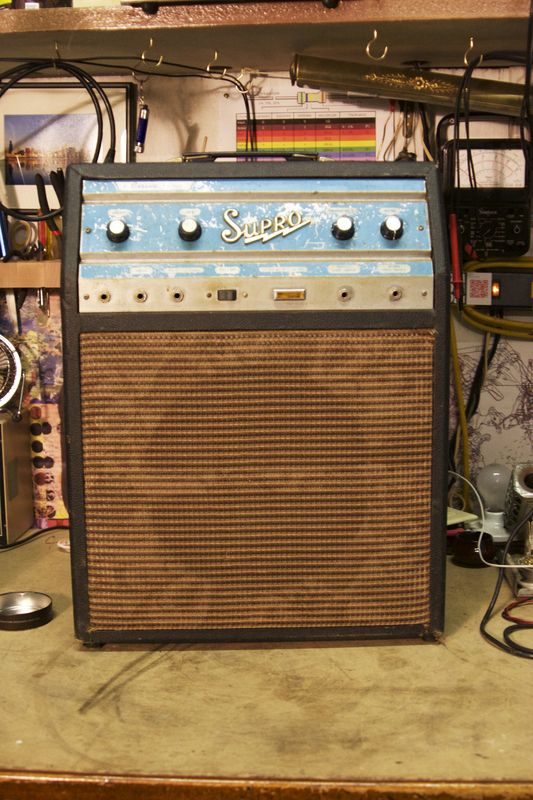 Old Supro Corsica made in Chicago back in the day by Valco. 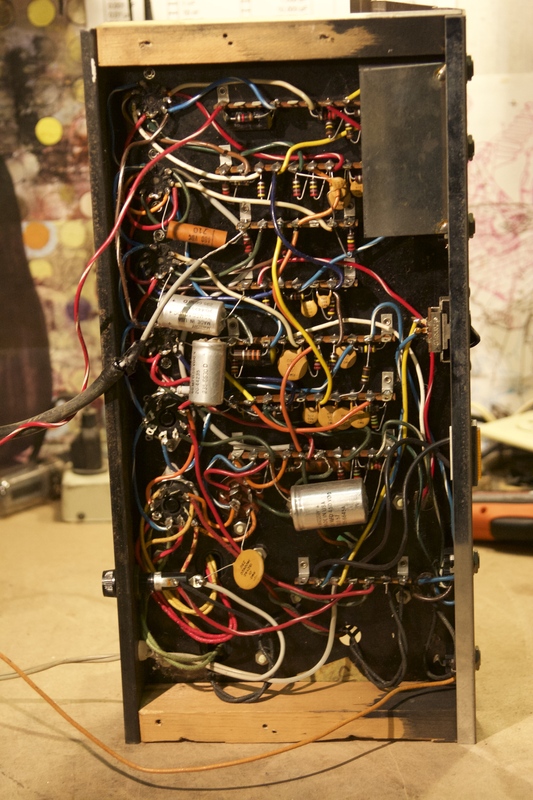 This is the opposite of the Hiwatt DR103 in the last post in regards to layout and wiring — total rat’s nest. Layed out in true point to point with all components mounted to pots, tube sockets and tag strips, but what a mess. This thing needed a new power tube and reverb tank so it could relive the old glory days. Mallory caps are from the year 1966. Knobs on the right are tremolo and reverb and knobs on the left are volume and tone. 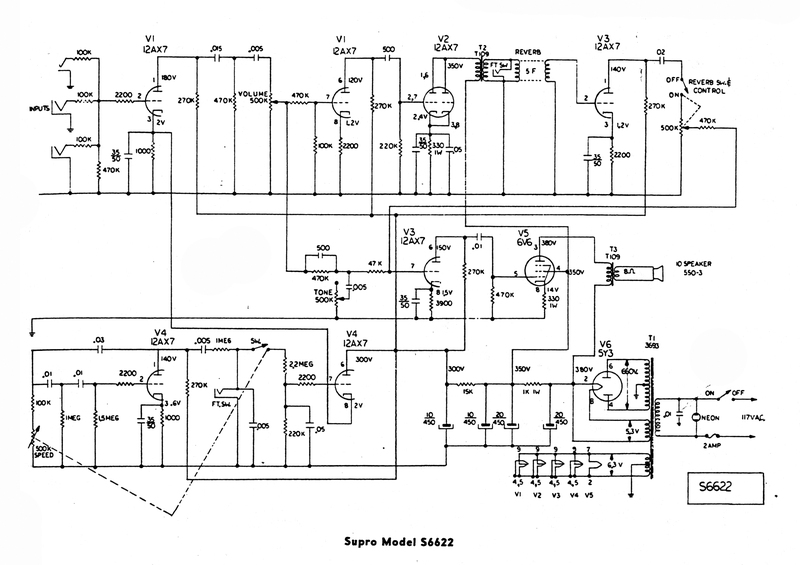 A lot of these old amps need to have the cathode resistor for the power tube bias adjusted. Higher modern wall voltages typically bias the power tube(s) past their max plate dissipation. A really hot bias will really bring up the noise floor, which is annoying. The amp will probably also lack clean volume. Let the good times roll by biasing it in a reasonable range.